Here’s to another Friday Fictioneers post! I just love Fridays! Thank you Rochelle Wisoff-Fields for hosting. This event happens every Friday, we are given a picture as a prompt. We are to write a 100 word story using that picture prompt. 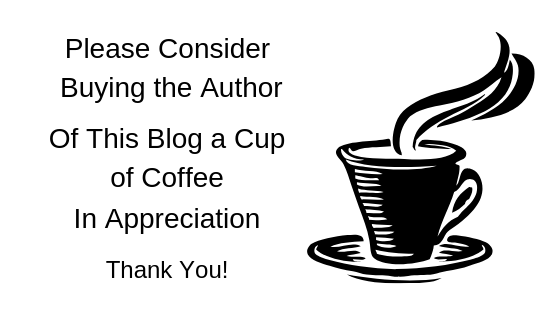 (there are no penalties for going over) We leave a link at our hostess’s blog for all others to click so that they can read, leave comments and enjoy! It always amazes me how many different stories come out of the same photo. Please come and join us! It’s great fun and great practice to your writing. Also, it doesn’t have to be a story, you can do poetry or whatever you want. Just keep as close to 100 words as possible. Even though there’s a lot of original art out there, I think a lot of it isn’t art, no matter who says it is. That added to my enjoyment of your story. Too bad more of them aren’t arrested by the art police as I feel their art is arrested. 🙂 Just my opinion, of course, with which anyone can be free to disagree, as long as you don’t force me to buy any of it. Fab story once again 🙂 I’m hoping next week’s photo is a little easier though! Thank you! Really enjoyed your take on it also. Yes, it was a hard pic this week that’s for sure! Oh come on! Who amongst us cannot truthfully say that they have never tired to defraud the arts community? It’s like the great American passtime. hmm maybe so. But, who is to say what is ‘art’ also. I guess it’s all in the eye of the person who likes what they like. I thought trying to defraud the IRS was the great American past time? I haven never thought of it as defrauding the IRS – after all, it’s my money, in’t it? Nice one, Jackie! Great ending on it. And, you know, Doug is going to make this into a beautiful globe, actually. I told him I felt bad that it was crushed in my story. In another, it was a bomb. Oh well! thanks. Yeah I saw that on Doug’s page. I thought it was rather funny, he made it into something arty, and I wrote something arty. I didn’t even read his story first. It’s cosmic or something like that! I guess I’m missing something if I don’t know who Nate Barnes is. I’m guessing he’s the equivalent of our own Tracey Emin or Damien Hirst? Realistic dialogue – well done. I’m not sure, if they are art forgers, then yeah, I made the name up. Maybe I should have used a real art forger’s name? Thanks for reading! Glad you love Fridays so much. I was hooked from my first flash fiction, too. Love the dialogue. Nate reminds me of a a fellow KC Art Institute student years ago. What he lacked in artistic talent he made up for in being a BS artist. Exactly what I was trying for! And yes I love Friday Fictioneers. I look forward to every week’s photo! Thanks for reading. Finding a unique twist to the story is in itself I’m impressive. An art forgery version was certainly very good. Had too google who Nate Barnes is.. Seems to be a drummer goin under that name, but the name is all a coincidence. Liked the story a lot. Thank you for your kind words. Yes, Nate Barnes is made up, maybe I should change it to a real forger name? Would that make more sense then? I will have to look into that, probably should have thought of that earlier. An original take on the prompt. I like it. I was checking out your other blog as well. I was so darn hungry after looking at it I polished off a box of Melba Toast with cheese…Nice work. haha! Glad you enjoyed my food blog as well as my story. Hope that box of Melba Toast was tasty. Thanks for checking both out Tom, appreciate it! there’s a big market in counterfeit art and other things. most autographed items that sell for thousands are likely fakes. there’s a lot of truth here – except for the arrest part. i don’t think many people are ever caught because it’s hard to prove that someone knew they were selling something forged. and – well done. thanks Rich, yeah there is a big market for forged things and maybe that’s what was in the back of my mind. Thanks for reading and commenting, appreciate it. No one will arrest me for forgery because the mosaic sphere will be an original. Loved you story and the ethos of your MC.